My wife and I are expecting our first child and we are concerned about how we should babyproof the home. What do we need to do to prevent our child from getting hurt at home? Babyproofing is an ongoing process, just like parenting, and starts in the crib. The crib mattress should be firm with no loose blankets, stuffed animals or decorative pillows - these can potentially smother babies. Once your baby starts taking his first steps, total home protection is necessary. Cover all electrical outlets with plastic plugs and ensure device chargers, hair dryers and irons are unplugged and stored out of reach. Household cleaners and other chemicals should be in locked cabinets. Set up barrier gates to prevent the child from climbing up and down the stairs and entering the kitchen and bathroom alone. Get down on your knees to look for sharp corners on furniture that can cause injury to a crawling baby or toddler. These can be cushioned with rounded stick-ons from hardware shops. Use placemats instead of tablecloths and runners, which curious toddlers can tug at. Make sure television sets are on sturdy bases or, better still, secured to a wall. Give all furniture pieces a push and pull to see if they can be toppled by a nimble climber. If they are unstable, fix them to the wall. To prevent doors from slamming on tiny fingers, cut off a small piece of pool noodle, make a slit along the length and wedge it onto the upper edge of a door so the door cannot slam shut. If you have an apartment with a balcony, consider installing invisible grilles for added safety. I have a dehumidifier in my room, but mould keeps appearing on my leather bags. What else can I do? There are many factors that cause mould to grow on leather bags, says Ms Grace Guo from Honest Crafters, who turned her love of leather bags into a business repairing, restoring and customising them. Dirt, bacteria, temperature, humidity and ventilation are factors that can cause the growth of mould. If the mould is still new, you can try to gently clean it off with a dry cloth or toothbrush. "However, if the mould is very serious, the only way is to send the bag in for professional cleaning. "This is because once the mould has penetrated into the leather surface, it can be resolved only via a professional mould removal process, followed by a colour touch-up if there are stains," she says. The best way to prevent mould on bags is to make sure the carriers are clean in the first place, kept in a clean environment (use the dust bag that most bags come packaged in) and stored in a dry place such as a wardrobe. "You may also consider using tracing paper as stuffing in the bag as it helps to absorb moisture," she adds. Every three months, take the bags out to air for at least two to three hours. Every six months, take the bag for moisturising and polishing so that the leather maintains its natural oils, which help protect against mould. I spilled oil on my concrete floor and now there is a stain. How do I remove it? I assume you blotted the excess oil with kitchen paper towels when the spill occurred. You cannot scrub oil stains off concrete, unlike other hard flooring. You need to apply an absorbent material on the concrete to draw the oil out. This is known as a poultice. You can make one by mixing mineral spirits with baby powder, kitty litter (ground finely), sawdust or diatomaceous earth (DE powder). DE powder can be found at pet stores (food-grade version) or swimming pool chemical suppliers (pool-grade). Sweep the area well to remove debris. Make a thick paste with your choice of absorbent and mineral spirits and lay it over the stain. Once the paste has dried (after several hours), scrape or sweep it away. Reapply a new layer of paste if needed. I want to convert my spare room into a home gym. Is there a special kind of flooring I need? Floors need to be protected to prevent scratches and scuffs from heavy-duty workout equipment such as treadmills, exercise bikes, elliptical machines, free weights and weight benches. But, more importantly, they need a non-slip surface. Rubber and ethylene-vinyl acetate (EVA) foam mats can provide this. EVA foam are colourful interlocking squares typically used in indoor playgrounds and kindergartens. They provide cushioning, but may not be suitable for some workouts: Being rather spongy, they do not offer a stable base and, should you drop weights on foam, there is a possibility of bounce, which is a safety hazard. Rubber mats absorb impact better and also last longer, but they cost more. If you are not lifting weights, then foam is good enough. Mr Jeremy Ko of workout equipment provider Movement First recommends getting a small number of interlocking 12mm-thick rubber mats to protect the area you will be training on. "They protect the floor from damage as well as offer some form of soundproofing," he says. These come in 50cm by 50cm "tiles", which you can configure to fit your space. There is no need for an adhesive as the weight of the mat keeps it in place. 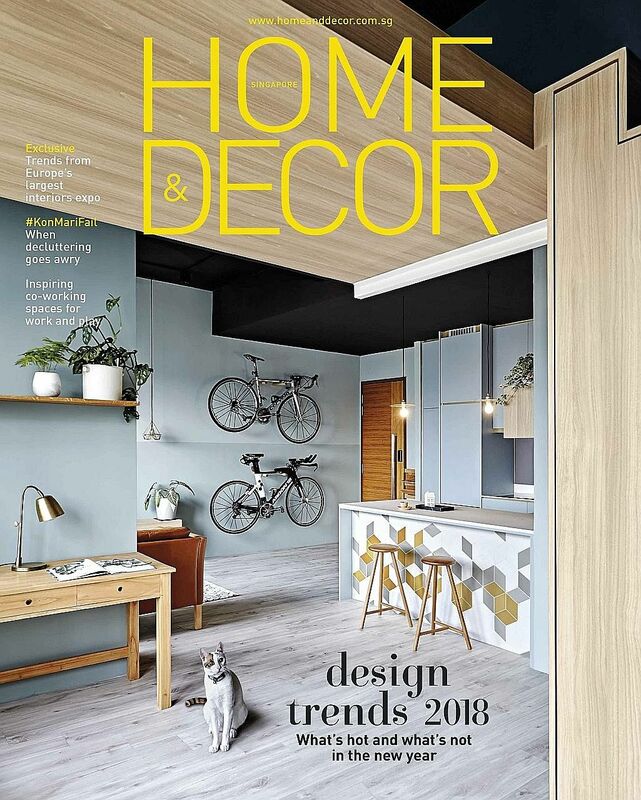 • Home & Decor and experts in renovation and home decoration answer queries from readers in this series. These questions first appeared in the January issue of Home & Decor, published by SPH Magazines. • Have a decorating or home renovation issue? Write to Experts Say, Home & Decor, Level 7 Media Centre, 82 Genting Lane, Singapore 349567 or e-mail maghomedecor@sph.com.sg. Photos and layouts are non-returnable.